If you’re anything like the majority of women searching for the right college, you’re likely not thinking about attending a women’s college at all. If that’s the case, we’d like to let you in on one of our best kept secrets: Employers actually seek out women who go to women’s colleges because of the leadership potential that our unique environment fosters. Consider this: 20 percent of women in Congress are graduates of women’s colleges. 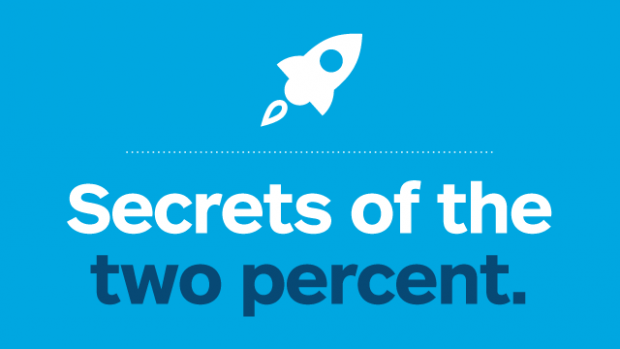 So are 30 percent of a recent Businessweek list of rising women in corporate America. These are impressive statistics, considering that only two percent of women attend women’s colleges. Highly ranked Mount Holyoke alumnae in the financial industry reiterate what we hear over and over again: their women’s college education prepared them to work shoulder-to-shoulder in a male-dominated environment. STEM: The need to attract and retain women in the STEM (science, technology, engineering and math) fields is well documented. Women currently make up less than a third of the science and engineering workforce, and the number of women in computing has actually declined over the past 20 years. 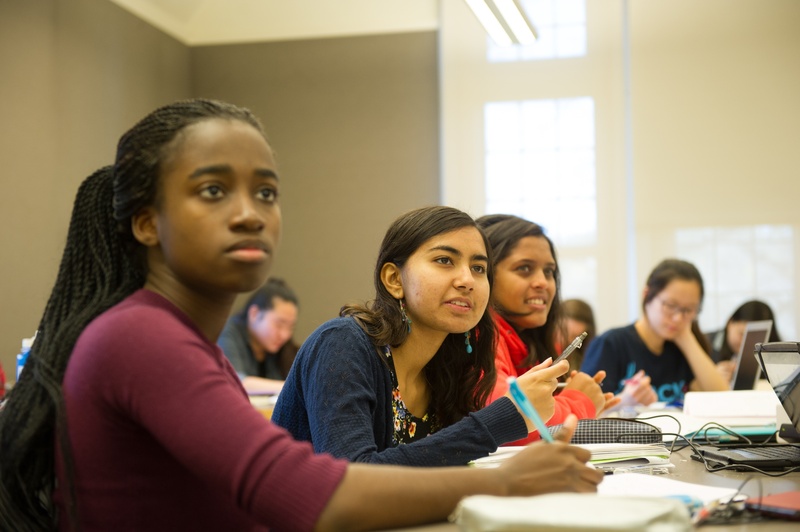 At Mount Holyoke, about 30 percent of students major in STEM, which is significantly higher than the proportion of women who typically major in math or science at comparable coeducational institutions. More than 150 students regularly receive funding for summer research opportunities through The Lynk, the College’s curriculum-to-career experience. 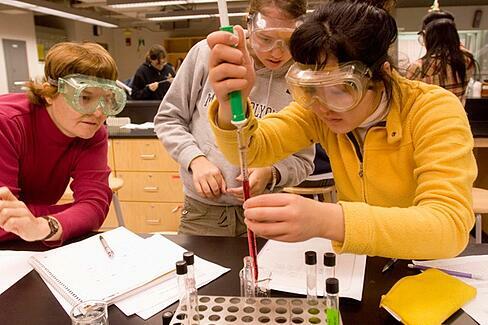 Among baccalaureate colleges over the past 50 years, Mount Holyoke has the greatest number of women graduates who went on to earn doctorates in STEM. Financial services: Women are less likely to apply to Wall Street banks than their male counterparts. As a result, recruiting teams in the financial industry are responding by proactively creating special programs for our students. Take Barclay’s and Goldman Sachs in New York City, for example. They recently hosted a group of students from the historic women’s colleges for an informational site visit, round-table discussions, networking events and a tour of the trading floors. Amazing opportunities like this are driven by a network of powerful, successful alumnae, who continually seek out ways to share guidance with students. Business: A study from the Women’s College Coalition found that women’s colleges produced a greater proportion of entrepreneurs than their coed counterparts. 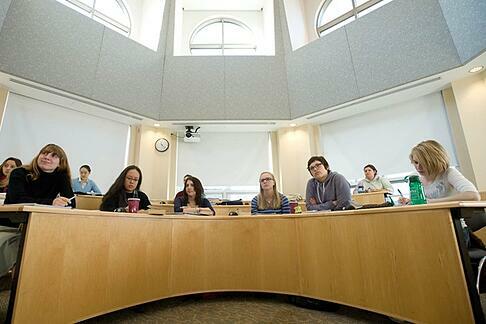 Recently, Harvard Business School launched a new program targeted to women’s college graduates that invites them to learn more about its MBA program — a sign that prestigious graduate schools want women leaders in their classrooms. Not only are companies and graduate schools recruiting women’s college graduates heavily, they’re also starting early. 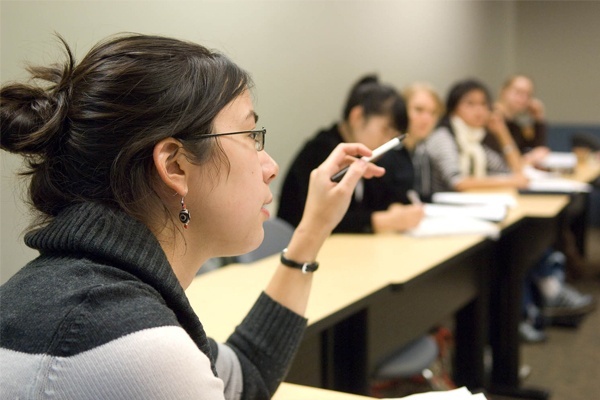 It’s not uncommon for companies to offer opportunities for Mount Holyoke students as soon as the first year. High profile financial institutions have provided our students access to onsite visits, informational sessions and professional development opportunities long before students launch a job search. We are also seeing recruiters in the technology sector looking for our sophomores to join special summer programs aimed at developing young talent. This trend is likely to continue — and a women’s college is the place to be when it comes to snagging such an opportunity. The bottom line? Earning a top-notch education at a women’s college opens doors in ways that might not be obvious at first glance. Don’t be afraid to make a different — and gutsy — choice and then watch it pay off!